LOS ANGELES (AP) — Brie Larson packs a punch in the first female-led "Captain Marvel" film. 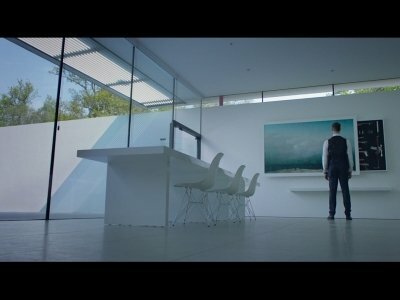 SAN DIEGO (AP) — Director M. Night Shyamalan says he could have launched the trailer for "Glass" in front of the summer's biggest movies in theaters, but that he wanted to hold it for Comic-Con. 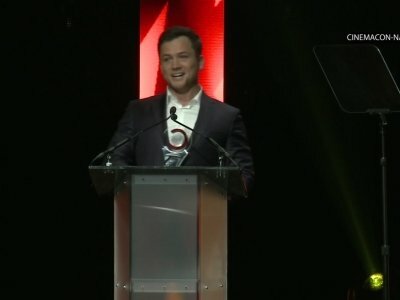 The filmmaker said Friday at the annual comic book convention that he felt strongly that the Hall H audience should be the first to see it. LOS ANGELES (AP) — Danica Patrick has lined up her first post-retirement gig: hosting The ESPYS. 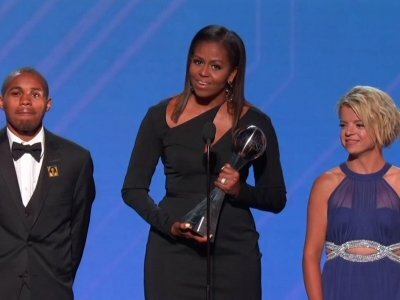 She will preside over the show honoring the past year's top athletes and moments in sports on July 18. The show airs live on ABC from the Microsoft Theater in Los Angeles. Patrick is set to retire from auto racing after competing in Sunday's Indianapolis 500, where her fourth-place finish in 2005 is the highest by a woman. Stevie Wonder has released a video featuring celebrities espousing the need to continue the works of the Rev. Martin Luther King Jr. on the 50th anniversary of his assassination. Wonder says in the video released online Wednesday night that the teachings of the slain civil rights icon are still alive. NEW YORK (AP) — Emmy-winning actor Reg E. Cathey, best known for "House of Cards" and "The Wire," has died. Cathey died at age 59, according to a statement from Netflix published in numerous reports. No other details were given. "The Wire" creator David Simon, announcing his death in a tweet on Friday, called him a "fine, masterful actor" and "delightful" person. 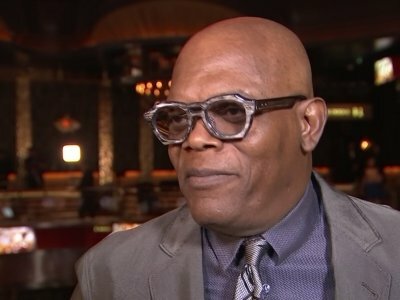 Samuel L. Jackson and Chris Rock also tweeted tributes. The 40-year-old actor —who is best known for his role in “One Tree Hill” — has joined the likes of Samuel L. Jackson and Jessie T. Usher in the upcoming sequel, Deadline reported. Although Jones’ character is not known at this point, Jackson is reprising his role of John Shaft II, who he played in 2000 action thriller “Shaft,” with Usher playing the titular role in the upcoming movie. Robbie Jones has joined the cast of 'Son of Shaft'. The 40-year-old actor - who is best known for his role in 'One Tree Hill' - has joined the likes of Samuel L. Jackson and Jessie T. Usher in the upcoming sequel, Deadline report. Although Jones' character is not known at this point, Jackson is reprising his role of John Shaft II, who he played in 2000 action thriller 'Shaft', with Usher playing the titular role in the upcoming movie. LOS ANGELES (AP) — Tom Hanks, Samuel L. Jackson, Common and Jennifer Hudson are among the celebrities participating in an hour-long live television special about reinventing American high schools. The stars will be joined by more than two dozen celebrities slated to appear on the "EIF Presents: XQ Super School Live " special that will air on all four major broadcast networks simultaneously on Sept. 8 at 8 p.m. Eastern. What’s playing in Aiken for the weekend of Aug. 25? An orphan dreams of going to Paris to become a dancer, while her best friend hopes to become a famous inventor in this animated tale. Voices of Elle Fanning, Maddie Ziegler, Nat Wolff, Carly Rae Jepsen, Mel Brooks. Written by Carol Noble & Laurent Zeitoun & Eric Summer. Directed by Summer, Eric Warin. (1:29) PG. LOS ANGELES (AP) — "The Hitman's Bodyguard" stole the weekend from the heist pic "Logan Lucky." Starring Samuel L. Jackson and Ryan Reynolds, "The Hitman's Bodyguard" opened to $21.4 million, easily topping the weekend which continued the downward spiral of the summer movie season compared to last year. Samuel L. Jackson and Jessie T. Usher look set to star in 'Son of Shaft'. The 68-year-old actor and the 'Independence Day: Resurgence' star will team up for the forthcoming film, which will start shooting this autumn, Usher has confirmed. Posting a picture of himself and Jackson, he wrote on his Facebook page: "Can you see the resemblance?! lol #SonOfShaft #NewLineCinema kicking off this fall !! Thanking God for another HUGE blessing (sic)"
LOS ANGELES (AP) — Critics loved "Logan Lucky" and gave a big collective shrug to "The Hitman's Bodyguard," but when it came to the test of the marketplace, audiences went their own way. The two action flicks faced off this weekend, and "The Hitman's Bodyguard" emerged the victor with a chart-topping $21.6 million, according to studio estimates Sunday, while "Logan Lucky" sputtered on arrival with $8.1 million. Ryan Reynolds thinks he's "lucky" to have developed such good chemistry with Samuel L. Jackson. The 40-year-old actor stars alongside the Hollywood icon in the new Patrick Hughes-directed comedy 'The Hitman's Bodyguard' and Ryan has revealed just how much he enjoyed performing with Jackson. He explained: "These are two guys who are very steeped in their personas, right from the get-go. ‘The Hitman’s Bodyguard” is an often-amusing scenery-chewing contest, and, of course, co-star Samuel L. Jackson, who mobilizes his favorite four-letter weapon over and over again, wins hands down. Samuel L. Jackson isn't just in the movies. He is the movies. What’s playing in Aiken for the weekend of Aug. 18? Ryan Reynolds stars as the agent assigned to protect assassin Samuel L. Jackson and transport him safely from England to The Hague. With Gary Oldman, Salma Hayek. Written by Tom O'Connor. Directed by Patrick Hughes. (1:58) R.
There's not a whole lot that's new about "The Hitman's Bodyguard ." Its mismatched-pals premise is the stuff of classic buddy comedies. 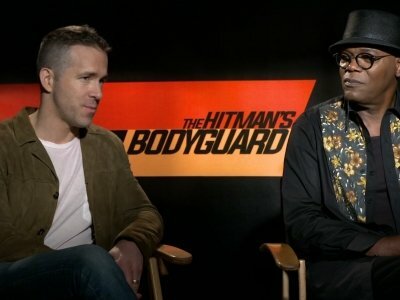 Stars Ryan Reynolds and Samuel L. Jackson play their typical character types: Reynolds the handsome do-gooder; Jackson the unflappable badass whose favorite word is mother(expletive). And like many movie heroes past, they're tasked with taking down a brutal dictator. 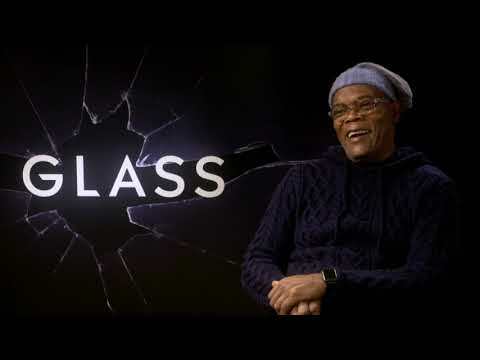 Samuel L. Jackson has never worried about being the lead in a movie. The 68-year-old actor is among the best-known faces in the movie industry, but has insisted his career choices have never been driven by ego, meaning he's been happy to play small roles in high-profile films. 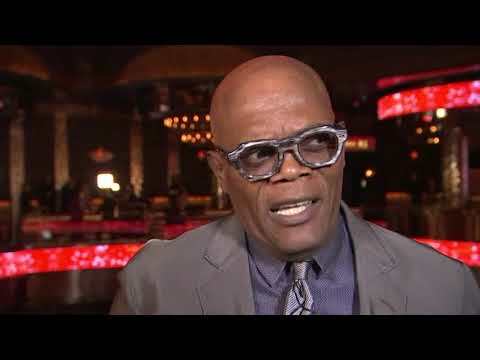 NEW YORK (AP) — Samuel L. Jackson isn't just in the movies. He IS the movies. You all know the Kevin Bacon game. Try to find a connection between Kevin Bacon and any actor in less than six moves. Turns out that 98 percent of all the 2.3 million people who have acted or directed in Hollywood can be connected to Bacon in four moves or less. 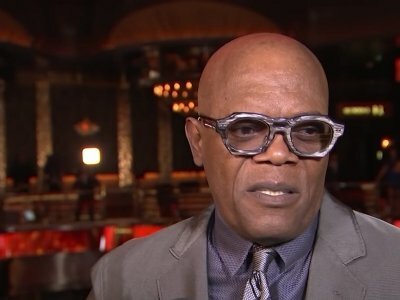 If that sounds astounding, Samuel L. Jackson is even closer to the center of Hollywood. By the way, you can find out more than you ever wanted to know on this topic at the website, Oracle of Bacon. I wonder how many links it takes to connect Kevin Bacon to Napoleon Dynamite star, Jon Heder? ANAHEIM, Calif. (AP) — When it comes to Disney, they like to keep it in the family, whether it's getting a football team's worth of original Disney princesses to cameo in "Wreck-It Ralph 2," reuniting "The Incredibles" fourteen years after the original film hit theaters, or securing a new director for "Toy Story 4." ADAMSTOWN, Pa. (AP) — If home is where you hang your hat, Kangol is struggling to afford its pricey new U.S. digs. 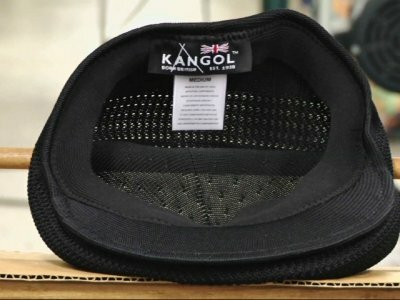 When the famous hat brand worn by celebrities like Samuel L. Jackson, Brad Pitt and Gwen Stefani moved into a Pennsylvania factory last year from China, executives with the Bollman Hat Co. billed it as an effort to create U.S. manufacturing jobs. 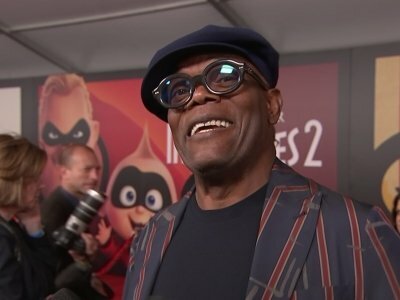 Samuel L. Jackson "asked" Brie Larson to cast him in 'Unicorn Store'. The Oscar-winning actress is making her directorial debut in the upcoming comedy and her 'Kong: Skull Island' co-star put her on the spot when he learned she was pursuing Bill Murray for a role in the film. "I pretty much asked her for the part." And the 68-year-old actor was impressed by Brie's abilities behind the camera. Opening gross (inflation-adjusted): $225,832,300Total box office gross (inflation-adjusted): $679,629,900Starring: Robert Downey Jr., Chris Evans, Mark RuffaloWhen Thor's evil brother, Loki (Tom Hiddleston), gains access to the unlimited power of the energy cube called the Tesseract, Nick Fury (Samuel L. Jackson), director of S.H.I.E.L.D., initiates a superhero recruitment effort to defeat the unprecedented threat to Earth. Joining Fury's "dream team" are Iron Man (Robert Downey Jr.), Captain America (Chris Evans), the Hulk (Mark Ruffalo), Thor (Chris Hemsworth), the Black Widow (Scarlett Johansson) and Hawkeye (Jeremy Renner). Smart Rating: 84.17Release date: Friday, March 10, 2017Genre: Adventure, action, science fiction, fantasyStarring: Tom Hiddleston, Samuel L. Jackson, Brie LarsonScientists, soldiers and adventurers unite to explore a mythical, uncharted island in the Pacific Ocean. Cut off from everything they know, they venture into the domain of the mighty Kong, igniting the ultimate battle between humankind and nature. As their mission of discovery soon becomes one of survival, they must fight to escape from a primal world where humanity does not belong. Smart Rating: 17.83Genre: Action, adventure, thrillerStarring: Ice Cube, Willem Dafoe, Scott SpeedmanWhen the government finds out that a group of terrorists has infiltrated its ranks, and the group is being trained by high-ranking official George Deckert (Willem Dafoe), NSA Agent Augustus Gibbons (Samuel L. Jackson) hires an ex-con to bring down the nefarious plot. Thinking he can trust no one in the government, Augustus springs Darius Stone (Ice Cube), who once trained under him, from prison. Although Darius is a loose cannon, Augustus is convinced he is the only man for the job.